Wills and trusts are two powerful tools that you can utilize in order to control your legacy. While wills and trusts work differently and serve different purposes, there are some commonalities between them in that both can be used to determine who inherits money and property after you pass away. Mark S. Eghrari & Associates PLLC can provide you with help understanding how wills and trusts work and helping you to make effective use of the right tool to accomplish your objectives. We will work closely with you to determine if you should transfer money and property via a will or via a trust. And, we’ll help you to make a legally valid will or a legally valid trust to accomplish your aims for providing for your loved ones and securing your legacy. 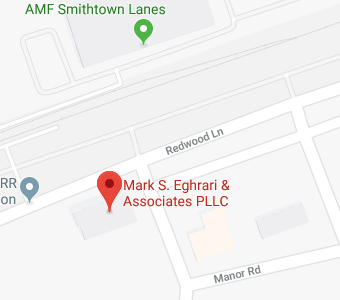 To find out more about how Mark S. Eghrari & Associates PLLC can help you, give us a call today. You can also read on to get some answers to frequently asked questions about wills, trusts, and more. Most people should create a last will and testament. A will allows you to provide instructions on what should happen after your passing, including who should inherit money and property that does not pass through other means such as trust administration, joint ownership with rights of survivorship, or pay on death accounts.While you can and often should use other tools to facilitate the passage of wealth outside of the probate process, having only a last will and testament is much better than having no plans in place and allowing intestacy law to determine what happens to your property. A will can also address any property that you didn’t dispose of through other means, even if you create a more comprehensive estate plan.To find out more about why you likely need a list will and testament, you can read this article about why you need a will. While you can transfer assets through a last will and testament, this method of distributing your wealth provides you with very little oversight or control. Generally, when you make a gift in a will, the person who stands to inherit it will be largely free to do what he or she wants with it. You lose control over what happens to the inheritance after it is given.With a trust, however, you can do much more than you can with a will. You can provide specific instructions for how trust assets should be used and for when your loved ones can inherit. For example, you could specify that your grandchildren who will inherit from you won’t receive the assets in the trust until after they have graduated or you can provide instructions that the trust assets be used only to pay for your grandchildren’s college education.To find out more about how and why a trust gives you more control over assets, read this article about the ways in which a living trust gives you more power than a will does. There are many advantages and disadvantages to a revocable trust. One big benefit is that when you put assets into a revocable trust, those assets are able to transfer outside of the probate process. The assets in the trust are also protected if you become incapacitated because your backup trustee will be able to take over the management of the money and property held within the trust. And, if you make a revocable trust, you have a lot of flexibility because you can modify or end the trust at any time.However, there are also some downsides to a revocable trust as well. For example, this type of trust won’t protect assets from creditors or if you become unable to live by yourself and face costly nursing home bills or long-term care expenditures. You also won’t get protection from estate tax.Read on here to find out more about the pros and cons of an irrevocable trust. If you transfer assets using a last will and testament, the assets have to transfer through the probate process. If you use a trust, on the other hand, assets can transfer outside of probate through the trust administration process. In many cases, your heirs or beneficiaries who will inherit your money and property would much prefer to receive their inheritance through trust administration than through the probate process.Your loved ones would likely prefer to inherit through the trust administration process, rather than through probate, because the probate process can be a very long, costly, and complicated process. It can take months for an estate to work its way through probate proceedings. During this time, the executor will be responsible for managing estate assets instead of new owners. Heirs or beneficiaries will need to monitor to make sure probate is moving forward and the executor is fulfilling his responsibilities while the executor will have lots of duties to carry out.The probate process also costs a lot of money because of court expenses and fees, even if nothing goes wrong such as someone contesting a will. And, because it takes place in court, court records are created and details can become public, which many people consider to be an invasion of their privacy.You can read this article detailing top reasons your heirs would prefer trust administration to probate in order to learn more. To find out more about how an attorney at Mark S. Eghrari & Associates, PLLC can help with wills and trusts, join us for a free seminar. You can also give us a call at (631) 265-0599 or contact us online to get personalized advice on whether you should use a will or trust and how to create the estate planning documents that you need to provide for your loved ones, protect your assets, and secure your legacy. Call today to learn more.